Bangkok Thailand is no stranger to luxury, the City of Angels boasts some of the most luxurious hotels in all of south east Asia. 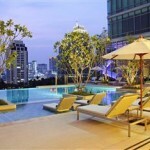 Amazingly so however a luxury hotel in Bangkok is only the 10th of the price of say a 5 star hotel in New York or Madrid. 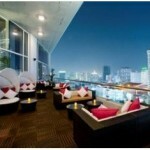 Bangkok Thailand has some of the cheapest luxury hotels anywhere in the world but still come with the 5 star tag so check out this list of the best 10 luxury hotels in Bangkok. If you like a luxury hotel with the best gym facilities and one of the most well designed pool areas you've ever seen you can't go past the Renaissance Bangkok Hotel. It has it all.This 324 room hotel is massive but just because if it's size doesn't mean you will be overlooked, the service here is exceptional. Typical Marriott Resort hotel, exactly what you'd expect from them. 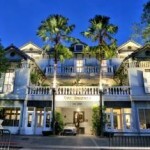 Though can't be rated against some of the other hotels. If your a Marriott member i'll understand why you stay here, but somehow it's just too impersonal for my taste. All I can say about this hotel is WOW, wow to the furnishings, wow to the unbelievable pool area and WOW to the unmatched service. 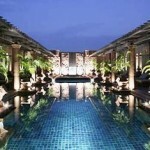 This would have to be the best value for money hotel in Bangkok if your looking for a 5 star retreat. Probably the best positioned hotel in the whole of Bangkok. 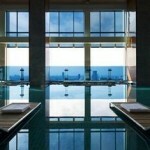 Rising above the cities largest mall Central World this 5 star hotel is unmatched. Has the best view and not just from some rooms but all rooms! This is a convention hotel but if your a shopper and intend to do a lot of shopping in Bangkok then you have to stay here because it's right in the center of the cities shopping district. If your looking for a romantic luxury hotel then look no further, the lebua hotel is one of the best, you can't go past a romantic dinner on the rooftop restaurant either. A relax in the amazing swimming pool and enjoy the really well decorated suite rooms. If you want to treat your girl to something special, try this hotel out. You won't be disappointed. 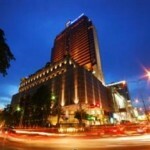 Kind of an average luxury 5 star hotel in Bangkok but it is well positioned for those who like to shop. 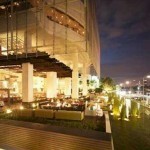 The Millennium Hilton Hotel stands out from the rest. And has one of the best beds i've ever slept in. 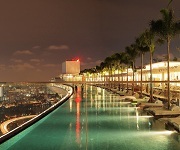 The infinity rooftop pool that looks out over the river is unbelievable. This is not your typical hilton hotel either. One word, amazing. This is an old rustic hotel that has an old school feal to it, it's very personal because of the small size of the hotel however nonetheless very luxurious and attention to detail and service is second to none. 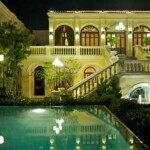 This is the kind of hotel you stay at if you like the renaissance era, fine dining and mixing with the upper echalant. It's an institution for the rich and famous to stay here. Celebrity spotting abound not just local Thai's but foreigners as well.